What makes this broth so health promoting? The first thing is that it packs a great mixture of super powerful vegetables. 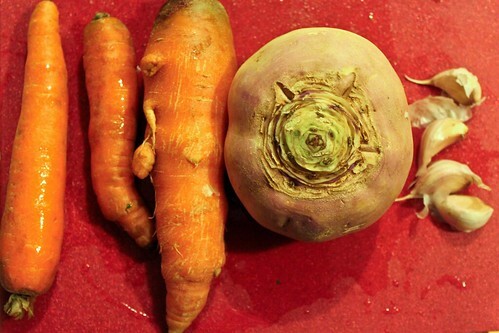 Turnips are naturally antimicrobial, and are packed with potassium and vitamin C. Carrots are loaded with vitamin A. Parsley is a powerhouse, loaded with vitamin K, vitamin C, vitamin A, and valuable volatile oils that may have anticarcinogenic qualities. 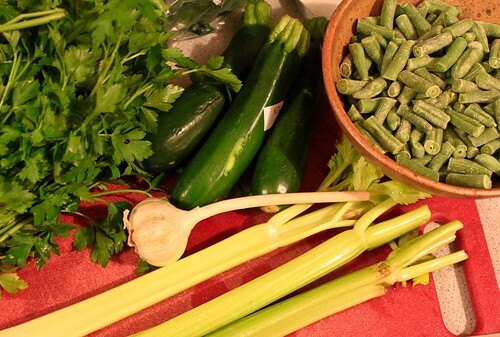 Celery and zucchini are fabulous sources of natural sodium, and green beans have an impressive assortment of vitamins, omega-3 fatty acids, and antioxidants. Wow! The short cooking time keeps the nutrients of the vegetables intact, meaning you get all sorts of good antioxidants, vitamins and minerals with every sip of this broth. These nutrients will help nourish you while you cleanse, giving your body what it needs to be strong and giving your brain a sense of satisfaction. Broth like this is super cool because all those minerals and vitamins and antioxidants are readily available and easy to absorb, but without requiring a lot of digestive energy. This means your body can use that energy for healing and restoring itself, rather than breaking down all sorts of food. Pretty cool, right? Additionally, these ingredients help promote a proper balance of sodium and potassium, an important thing to think about if you are undertaking a cleansing regimen. A touch of unrefined sea salt provides excellent trace minerals, and miso provides good bacteria to help support your gut flora and support proper digestion. And of course, this broth is also wonderfully hydrating. Yay! Super health broth rocks! Either strain out the veggies and use the clear broth, or blend the veggies with the liquid for a thicker soup-type broth - the choice is up to you. Since I'm on a liquid diet, I'm straining out my vegetables, and saving them for later in the freezer - they will be perfect to add to soups and casseroles, or to reheat for a quick vegetable side dish. Waste not, want not! 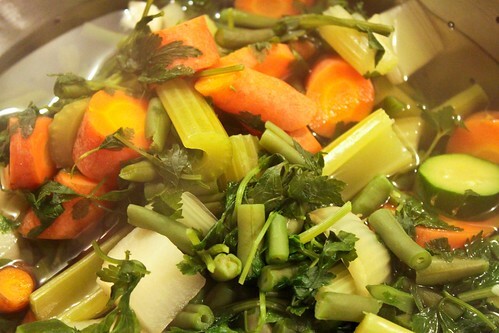 This broth is excellent for fall or winter detox/cleansing regimens. Use organic vegetables if possible. Clean all vegetables well and chop. 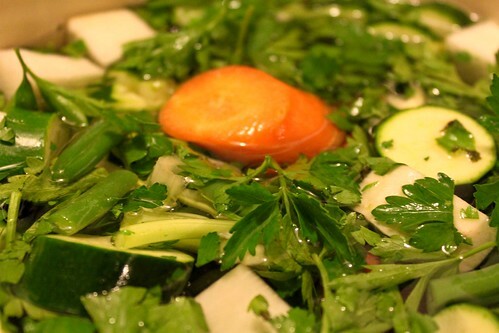 Place water and all vegetables except parsley in a pot and bring to a boil. Reduce heat, cover, and let simmer for 20 minutes. Then add parsley and cook another 10 minutes. Vegetables should be just barely tender and should not overcooked. Option 1, Clear Broth: Strain out vegetables and put in the refrigerator or freezer for later use - they are perfect to add to soups, casseroles, etc. 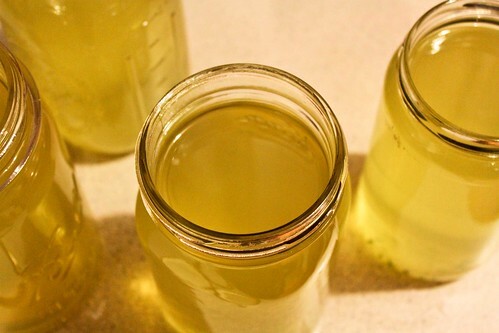 Then put broth in jars and store in the refrigerator, reheating as necessary. If desired, stir in a tablespoon of miso into each serving after broth is heated (strain out miso chunks before serving if you are on a liquid diet). 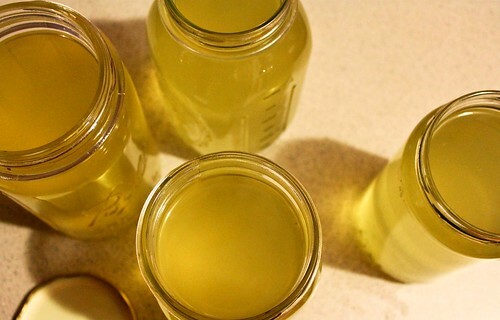 This clear broth is perfect for liquid cleansing regimens or to drink as a nourishing beverage anytime. Option 2, Chunky Broth & Veggies: Eat broth with chunks of vegetables, or blend broth with cooked vegetables to desired consistency with a blender or immersion blender. Serve warm, storing leftovers in fridge and heating as necessary. Add a tablespoon of miso if desired to each serving after it is heated. This option is more filling than the clear broth, and is good if you are doing a light cleanse or want a simple, light meal to recover from tummy troubles, illness, or to balance yourself out after an overindulgent weekend. And finally, one more bonus option.. If you are permitted to eat fat during your cleansing period, try put a little dab of butter or coconut oil in it before consuming. It can help absorption and give increased satisfaction. Yum!